Mikrotik allows the use of time-based firewall filter rules to filter traffics, permit and deny access to network resources like websites, using attributes like time and days of the week. In this demonstration, I want to share with us on how to create firewall filter rules that will deny network users access to YouTube from 8am to 5pm Monday to Friday. 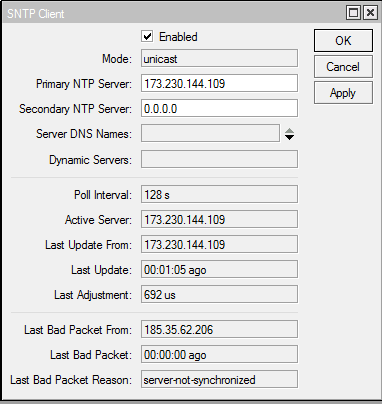 The Mikrotik router must have accurate time configured (router can be configured as NTP client).